Our aim is Zero to Landfill. Across the United Kingdom, we reuse or recycle almost anything whilst being as green and as efficient as possible. Run by two ex-Army Officers, and employing ex-Servicemen, the company has a military ethos of reliability and professionalism. No waste is too difficult to manage. Whether working with restaurants in Mayfair or government agencies, we pride ourselves on finding cost-effective solutions to difficult problems. 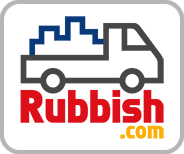 Providing retailers with a reliable waste collection service. From clearing out window displays to transporting stock in a specialised truck, we provide ad hoc collection services to match your requirements. We work with some of the major retailers in the West End; global brands rely on us to responsibly dispose of their waste. In the last 12 months we have cleared over 800 tonnes from 35 different sites nationwide. We have gained a reputation for excellent service in this area, such that we have been awarded a government contract. Our Luton truck is dedicated to removal jobs however big or small. Long range deliveries, like transporting antiques to Wales or the speedy couriering of Haute Couture during London Fashion Week -we are fully insured to help you when you need it most. Please give us a call if you would like a quote for our removal services. Unwanted furniture or junk cleared out with a smile. From large scale renovations to spring cleans or house sales, we are always on call and ready to offer extremely competitive prices. Please see our price list for more detail. We provide regular restaurant waste collections in Mayfair. Whether early morning or late at night, we have been on call for some of Mayfair’s finest restaurants for years. Please call us if you would like to discuss a long term arrangement. In the last 12 months we have cleared over 800 tonnes from 35 different sites nationwide. We have gained a reputation for excellent service in this area, such that we have been awarded a government contract. Always available on short notice, please call the Operations Team to discuss a bespoke solution.